At the very beginning of 2019, the organisers of the 19th Game Developers Choice awards announced this year's nominees. On the Switch front, Nintendo Labo was nominated for an innovation award, while indie titles such as Celeste got nominated for the best audio, design and game of the year. The winners of each category have now been announced, and sure enough, Nintendo Labo has taken out the innovation award. Celeste by Matt Makes Games won best audio and two other games (GRIS and Into the Breach) available on Switch, were awarded best visuals and best design. Congratulations to Nintendo Labo and all of the other games awarded. Also, "Game of the Year" award went to God of War. One of the benefits of spending time making great big games - not Martha Stewart craft projects. @Agramonte And Breath of the Wild won GotY the year before, if your comment is an insinuation that Nintendo don't spend time making "great big games". Or do they need to have one in the GotY class every year (though I think Smash Ultimate perfectly fits that bill)? No offence, just curious. 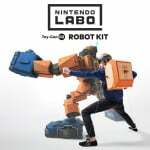 I don't care for Labo either, but it's absolutely something innovative and deserves attention. It's not like that stupid Bowsette meme that NL ran one billion articles on. Nothing for me. 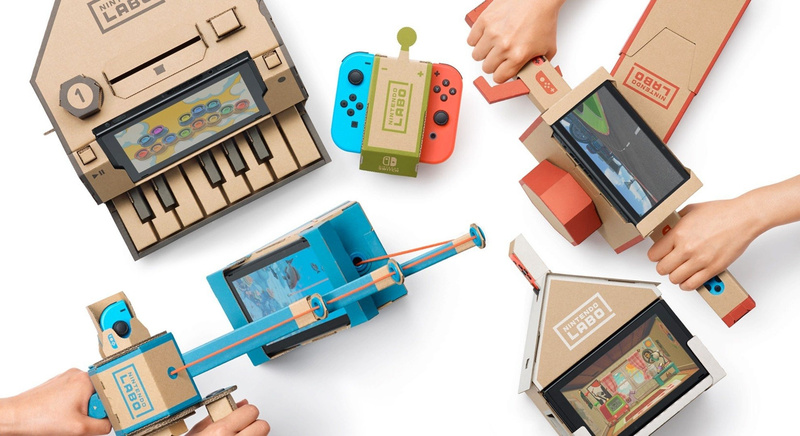 But if I had kids, I’d rather get them a LABO set than the next CoD. Seems like everyone who’s actually trying LABO VR is walking away highly impressed. Even I myself once I saw the video and read the hands-on feature realized I had foolishly dismissed it. I’ll be putting a pre-order in today. Btw, Amy Hennig for lifetime achievement? No offense but that’s kind of scraping the bottom of the barrel, isn’t it? All she’s really done that’s worthwhile is make Uncharted and Jak. Like... if you’re going to give a lifetime achievement award to anyone who makes a big-name game then we’re going to have a pretty long list. 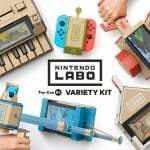 Labo is a very creative product, sadly for most people is just overpriced cardboard. Because they're simply narrow-minded people. And so it should--especially after we've just seen the first footage of the Labo VR Kit in action too. This is absolutley amazing! It really deserves an award like this. It is amazing how much they can accomplish with some cardboard, rubber bands, and some reflective tape. It's like they sent their RnD team to an abandoned warehouse with a switch and told them to have fun.